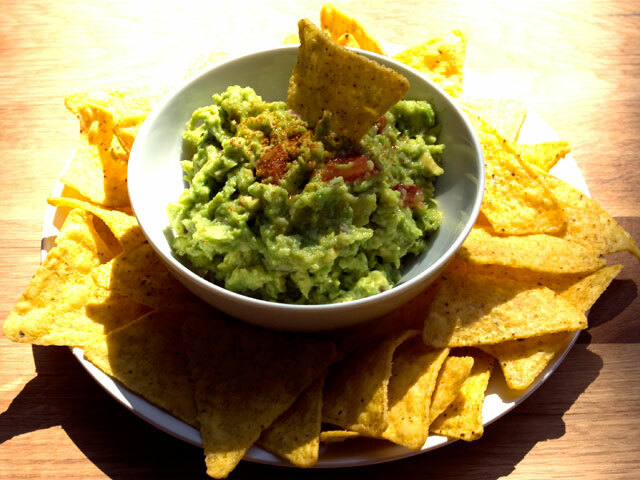 This was the first recipe I added to abitmoreveg – a simple recipe for Guacamole. I chose this because guacamole is very healthy, very satisfying and can be used as a treat food – with crisps or tortilla chips – or as part of a satisfying and nutritious snack – guacamole on brown bread – or as part of a filling meal – as a topping for stewed black beans. 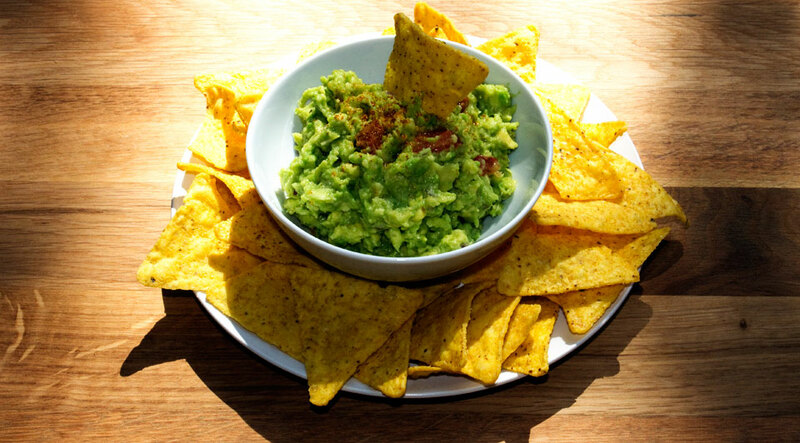 Guacamole with tortilla chips – a tasty and kinda healthy treat. Guacamole seems like a good recipe to start with for a new healthy eating regime. Avocados are a very good source of monounsaturated oleic acid which is said to lower the amount of LDL cholesterol and raise the amount of HDL cholesterol. Both LDL and HDL cholesterol are essential for your body but LDL cholesterol can stick to your artery walls, causing a build-up, which is why it’s necessary to have more HDL cholesterol as this type essentially clears out the LDL cholesterol. Also avocados are a great source of folate and vitamin E and C. The great thing about guacamole is that, as well as being a delicious and creamy snack dip, it stays good in the fridge for 3 – 5 days, so by having some around you can easily make a healthy and satisfying treat anytime you want. Press the skin gently with your fingers it should be a little soft, not give way completely but not feel stone like either. Just press gently otherwise you will bruise the fruit. In fact it’s a good idea to always buy avocados you know are under-ripe because it’s possible that the softness you feel is really bruising by some overly eager ripeness tester. You can ripen avocados just by leaving them in your fruit bowl with some bananas. The more ripe the bananas the faster the avocado will ripen. Halve and peel the avocados, discard the stone. Add the flesh to a bowl. Pour the lime juice and sprinkle the salt over the flesh. Mash it up with a fork. Score the flesh of the tomato and place in a bowl of boiling water for a minute to loosen the skin. Take out, run under the cold tap and peel the tomato. Halve and remove the seeds. Dice the flesh and add to bowl. Add in the red onion also. Stir everything together. Sprinkle over 1/4 or 1/2 teaspoon of cayenne pepper, depending on how much you like spice. Stir the spice in. Guacamole with a selection of raw vegetables and tortilla chips. 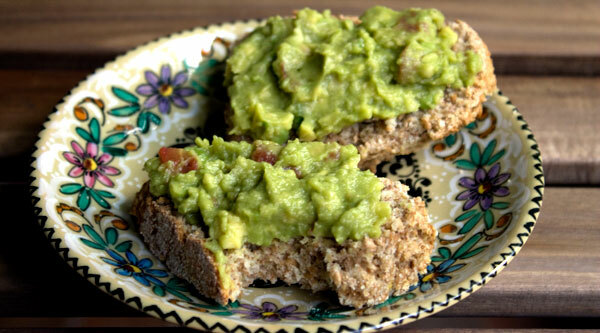 Guacamole on brown soda bread. I don’t know why but it just works. 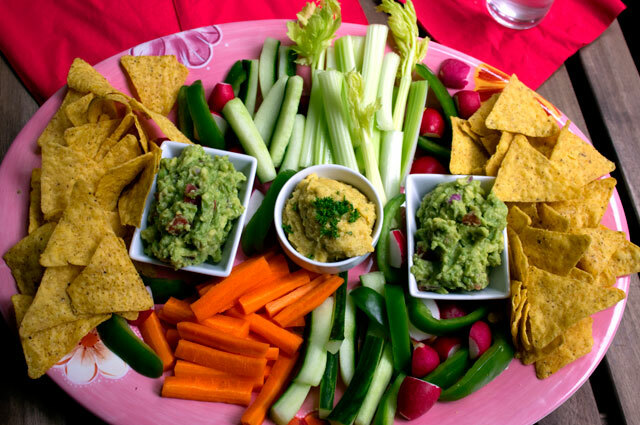 Raw veg and tortilla chips with some guacamole and yellow pepper hummus. Add more lime juice to your guacamole and it makes a great vegan (and so heart-healthy) alternative to sour cream. 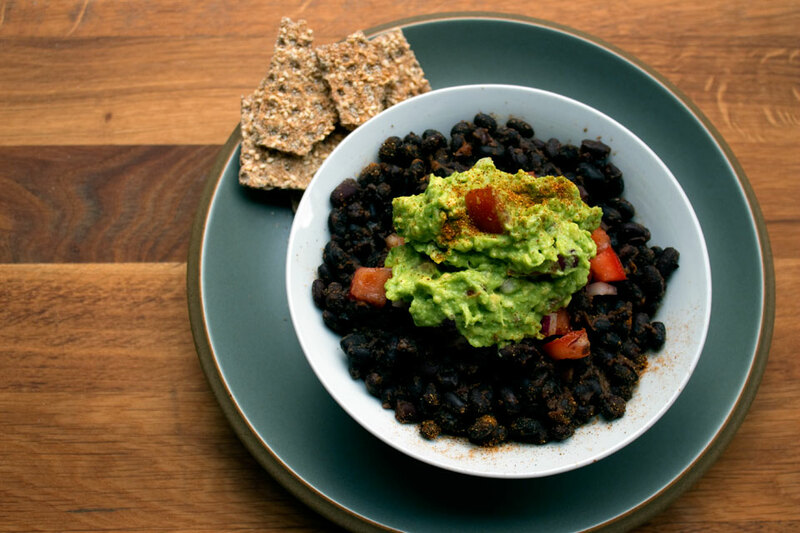 And also it’s great with black beans – with a good pinch of cayenne pepper for that spicy kick. 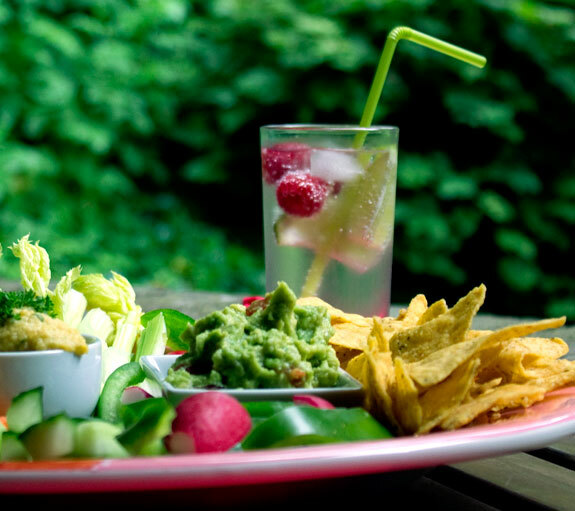 Taste of summer – guacamole and tortilla chips.